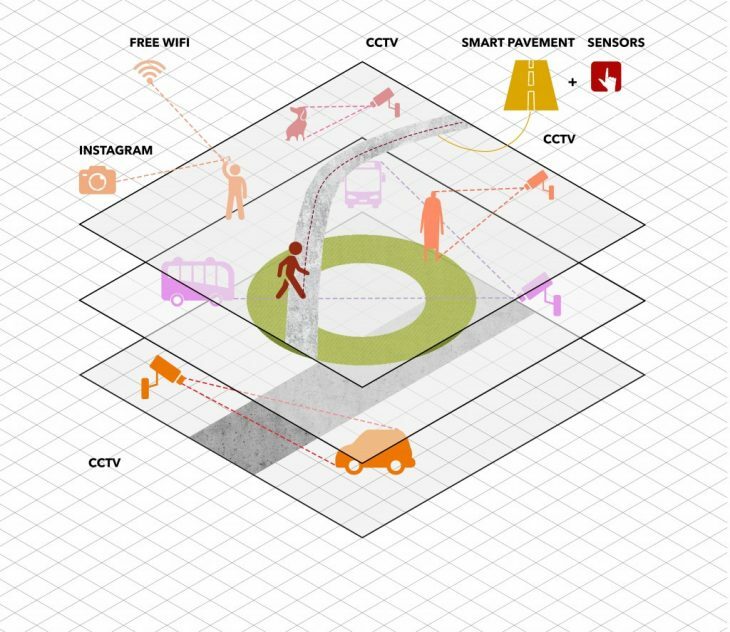 This project is based on an idea to create a new model for architects and designers to generate revenue from data captured in physical space. When data is captured from public space, we give back something to the city.To interpret a public space as a data producer to play its role in a modern business structure could be a changing point for the future design of public spaces. where is the capture happening? The area we would like to work on is located in Barcelona, Placa Cerda. We are interested in the pedestrian bridge which crosses one of the main road Gran Via. 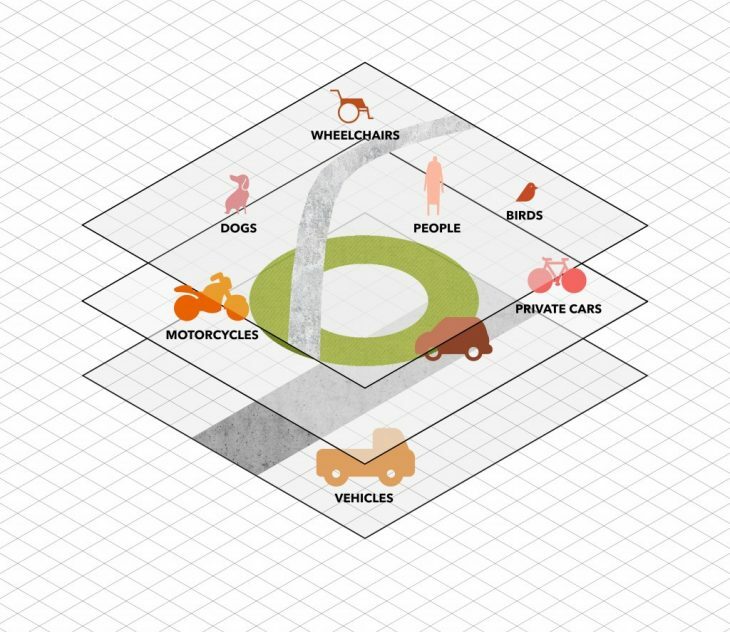 Speaking about the special features, physical structure of the chosen place is very interesting – it’s divided by 3 vertical layers: underground road, ring road and pedestrian bridge.Each layer is used by diverse users distributed on it. Every layer has different characteristics however pedestrians are involved in each of that. 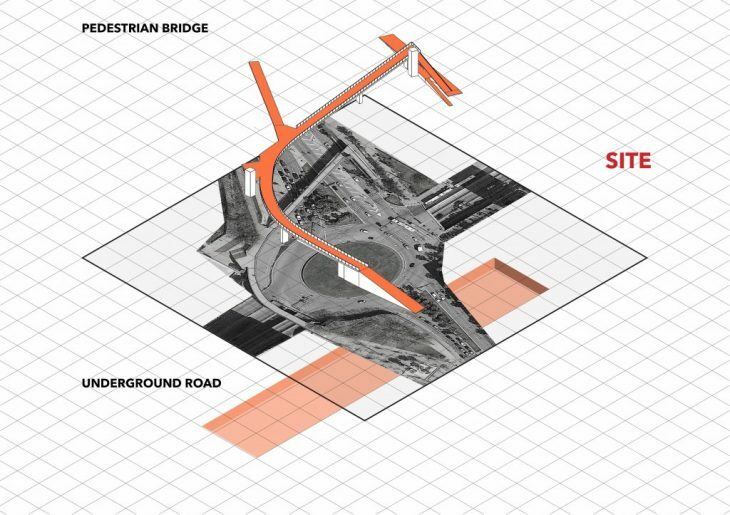 We believe that this area has a great potential however now the top layer – pedestrian bridge is undeveloped and boring, so we decided to use the data from the site to make the analysis and use those data to improve the site. how is the capture happening? According to the fact that we don’t get paid from the public space, we have to find a way to earn money for our future development. Those data we grabbed from the car and people, that related to some global brand and marketing static issue could potentially become long time investor of our project. why is someone capturing it ? 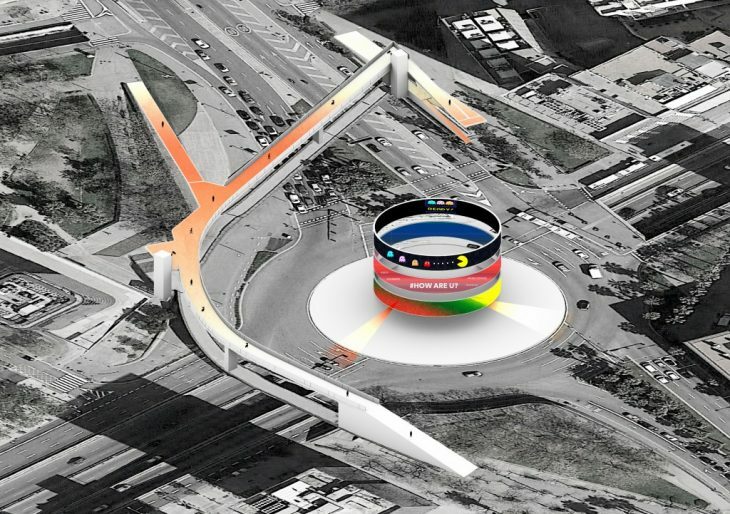 Our proposal is to make an installation in the plaza which will be used to be a roundabout. In a current moment it is an empty space covered with grass. We set up three huge screen to visualize the data we have grabbed from different layers, which can be used to improve the site. We designed those screens, from bottom to the top, as a trend from “realistic to fantasy”. 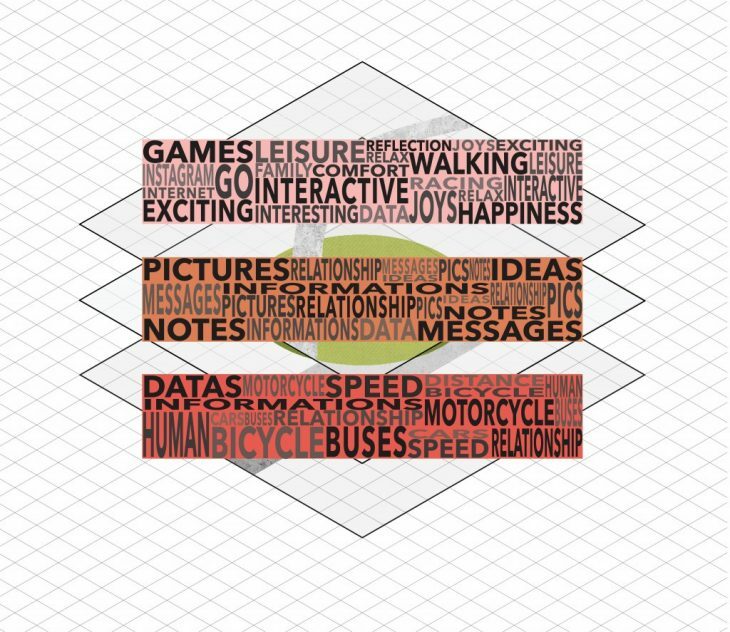 On the first layer we just visualize the data related to traffic and users who interact with the road. On the second layer we decided to set up a huge post-board for people to share their ideas and to communicate with the city. The top layer which is connected with a pedestrian bridge is an interactive game which helps to run away from the routine and relax. It’s worth mentioning that office workers are the most popular users of the bridge so it could be great to rest mentally and reboot. In the future this place could be unexpectedly activated and enhance the business activities around the area. This place could become a good platform to perform the practice of usage the captured data on site to develep public spaces.